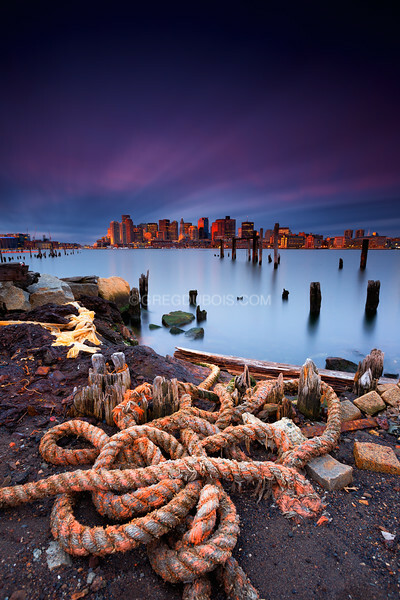 This old nautical rope is one of my favorite subjects in East Boston. I caught some nice sunrise light hitting the buildings downtown. Through the duration of the exposure several types of clouds traveled through the scene, resulting in an interesting effect to the sky. This is a 376 sec exposure with the below filters.